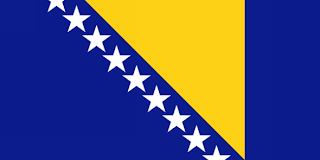 SARAJEVO -- New Bosnian Foreign Minister Sven Alkalay said that his country was against imposing any kind of sanction on Iran. In a meeting with Iran's Ambassador to Sarajevo, Mohammad-Reza Morshedzadeh, he reiterated Tehran's “inalienable right to pursue peaceful nuclear technology” and called for settlement of Iran's nuclear case through diplomatic channels, Iranian news agency IRNA reports. He further “praised Iran's humanitarian support for the Bosnian people during his country's war and reconstruction period.” Alkalay voiced his country's interest in boosting all-out ties with Islamic states, Iran in particular, and said Sarajevo is ready to utilize Iran's valuable experiences and potentials in economic, industrial and scientific fields, IRNA says. Underscoring the importance of exchange of visits between the two countries' officials in promotion of bilateral ties, he announced his readiness to visit Tehran in the near future. The Iranian envoy, for his part, briefed the Bosnian foreign minister on the latest developments in Iran's nuclear activities. He expressed hope that Tehran-Sarajevo cooperation would further bolster in all fields.